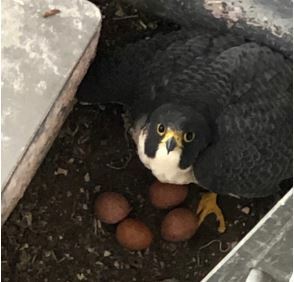 Last week, Reston Now asked readers for their name suggestions for the two peregrine falcons that call Reston Town Center home. The pair are both around 7 years old and are expecting four chicks. The dad hails from Maryland while the mom came from Pennsylvania. About 60 people commented with name ideas below the profile last week and on Reston Now’s social media pages (Facebook, Twitter and Instagram). From today (April 22) to the end of the week, readers can vote for the two names from this list of readers’ suggestions. 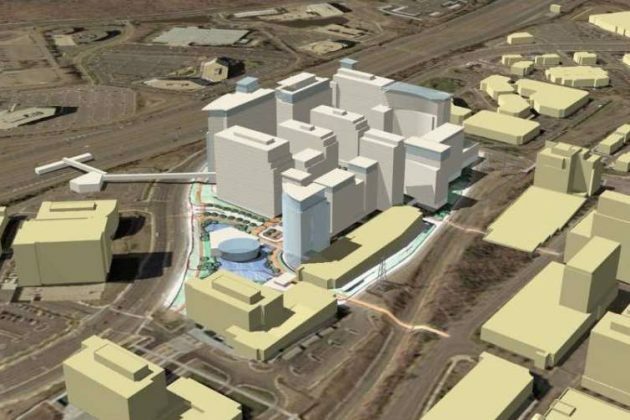 Fairfax County is looking into who should pay for and manage a community-based performing arts center set for Boston Properties’ Reston Gateway project. The Fairfax County Board of Supervisors approved a feasibility study with private and public entities at its meeting last week on Tuesday, March 19. “The community has demonstrated strong interest and support for such a facility,” Hunter Mill District Supervisor Cathy Hudgins wrote in her motion, which Chairman Sharon Bulova read due to Hudgins’ absence. The 60,000-square-foot performing arts center is slated for the mixed-use project, which includes nearly 2 million square feet of office space, two hotels with 570 rooms and 162,300 square feet in retail and restaurants. Located on the north side of Sunset Hills Road between the Reston and Town Center parkways, the project will connect the future Reston Town Center Metro station to the border of Reston Town Center. Block J has been identified as a possible location for the performing arts center, according to Hudgins’ motion. The feasibility study aims to assess if the county or another entity can finance, construct, maintain and program the performing arts center. Before the board voted, Providence District Supervisor Linda Smyth cautioned the board about the upkeep the performing arts will require. 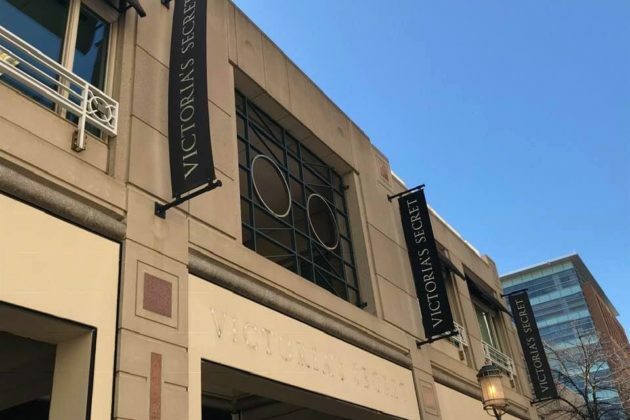 Victoria’s Secret no longer calls Reston Town Center home. 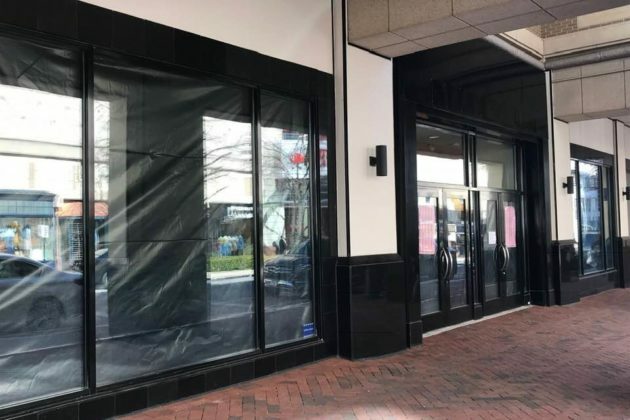 Aba Kwawu, a spokeswoman for Boston Properties, told Reston Now that Victoria’s Secret’s departure from Reston Town Center was a part of a larger pattern of closures expected for around the country. Victoria’s Secret announced earlier this year that it plans to close more than 53 stories, according to CNBC. “While it is unfortunate to see this iconic brand face difficulties, we look forward to replacing them with an exciting new tenant soon,” Kwawu said. No word yet on who that new tenant is for that spot, although several newcomers expected to arrive this year have already been revealed. Locals who miss the lingerie giant can find the familiar pink and black store in Tysons and Dulles. 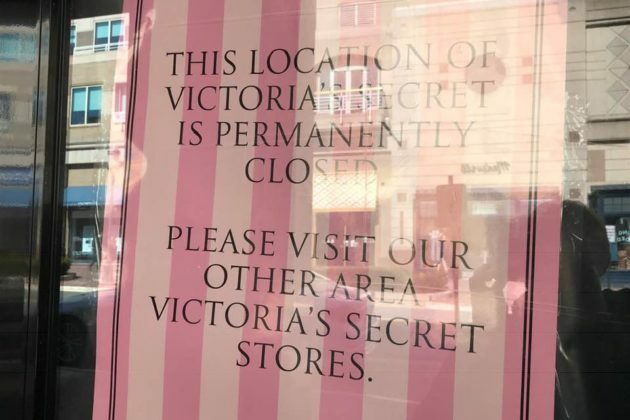 “Please visit our other area Victoria’s Secret stores,” the signs say. The Apple Store in Reston Town Center has some planned changes in the works. Apple Inc. filed a building permit for the spot recently vacated by Pottery Barn, which is next door to the Apple Store at 11949 Market Street. Replacements for the now-empty spaces haven’t been announced yet. Reston Town Center recently unveiled six newcomers slated to open later this year, but did not indicate the expected opening dates or addresses. The permit description says that it is for a new tenant layout. It remains unclear at this time whether Apple is considering expanding or moving into the new space. Reston Now reached out to Boston Properties and Apple for comment and has not heard back yet. 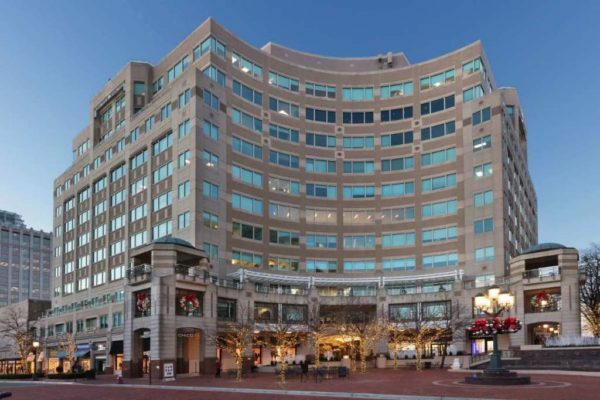 Boston Properties, the owners of Reston Town Center, recently tapped Transwestern, a commercial real estate company, to provide leasing services for RTC. The move comes amidst a flurry of recent business closures, from Williams-Sonoma and Pottery Barn earlier this month to nine retailers and restaurants last year. “The new leasing engagement by Boston Properties comes at the same time as a major rebranding initiative at Reston Town Center,” Transwestern announced in a press release today (Jan. 31). While the controversial paid parking has driven some of the businesses out of RTC, six newcomers are slated to open there later this year, including Peet’s Coffee and DC Row. Transwestern will be responsible for leasing RTC’s “urban core,” which consists of more than 2.5 million square feet of office space and 450,000 square feet of retail space in the mixed-use development. “Significant” availabilities are expected in the next few years, partly from Leidos’ consolidation at 1750 Presidents Street, the press release says. The upcoming Silver Line Metro station in Reston and the neighborhood’s changing shopping and dining scene are also expected to boost RTC’s attraction to employers, Transwestern said. 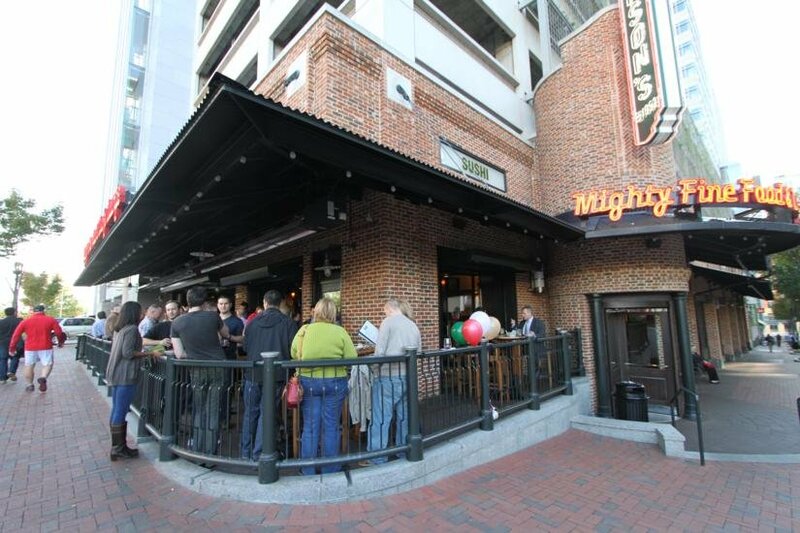 Ritchey has worked on Reston Town Center for more than 29 years. Another Reston Town Center restaurant is joining the fight against paid parking just months after the settlement of the first lawsuit challenging Boston Properties’ controversial parking system. 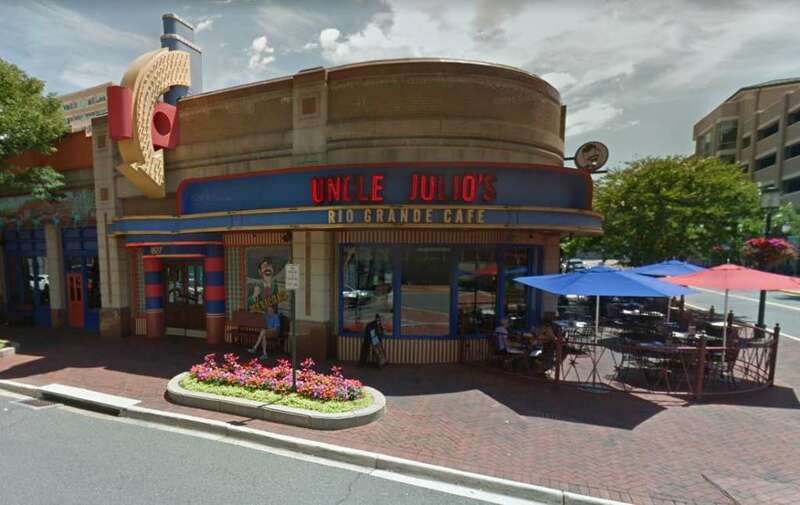 Uncle Julio’s filed a suit against Boston Properties and several affiliated limited liability companies for at least $5 million over the paid parking, the Washington Business Journal reported today (Jan. 11). The Tex-Mex restaurant at 1827 Library Street claims in the suit that it has lost approximately $1 million in sales annually since paid parking was implemented in January 2017, according to the article. Uncle Julio’s is suing RTC’s owners on several counts, including breach of contract and conspiracy, according to the story. Boston Properties has not yet responded to the lawsuit, which was filed on Dec. 21 in Fairfax County Circuit Court. Nearly two months ago, Boston Properties and Jackson’s Mighty Fine Food & Lucky Lounge settled a dispute over the developer’s paid parking system. Jackson’s filed its suit, which also alleged breach of contract, in March 2017, Reston Now previously reported. Boston Properties continues to face an uproar from many local businesses and residents. 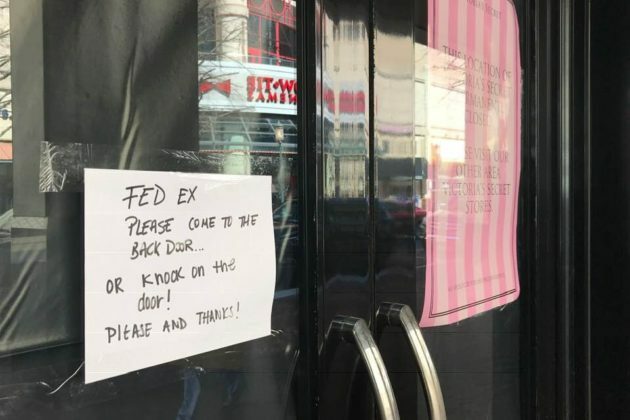 In 2018, nine businesses closed at RTC, with several owners and employees telling Reston Now that the paid parking drove customers away. In December alone, two restaurants — Hen Penny and Obi Sushi — left. This year doesn’t look any better. Williams-Sonoma and Pottery Barn, which are both operated by Williams-Sonoma Inc, are set to close at RTC later this month. 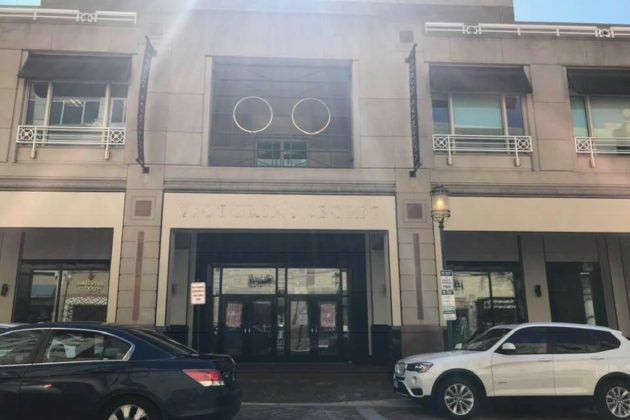 A lawsuit by a Reston Town Center retailer against Boston Properties in response to the developer’s paid parking system has been settled. Under the agreement, customers of Jackson’s Mighty Fine Food & Lucky Lounge will be offered a special parking arrangement. Guests will be able to enter their license plate number into one of the pay stations in the Orange Garage or on a tablet inside Jackson’s to validate parking. “Both parties look forward to continuing their 10-year relationship at Reston Town Center,” according to a statement published by the company. The terms of the deal were not immediately disclosed. A representative for Boston Properties declined to comment further on the deal or release any details. Jackson’s sued Boston Properties in Fairfax County Circuit Court alleging breach of contract in March 2017. The suit sought the immediate termination of paid parking, $500,000 in damages and attorney’s fees. Company officials stated that the restaurant suffered major disruptions since paid parking went into effect. 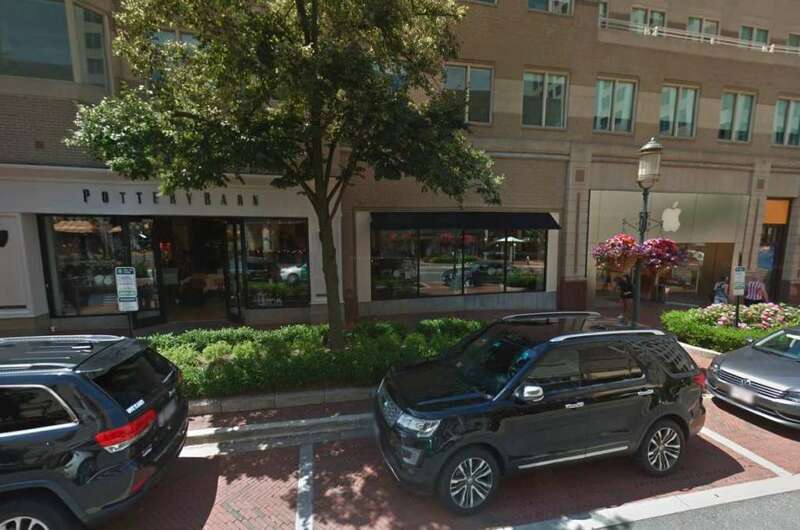 A number of other restaurants have cited the paid parking system as cause for leaving Reston Town Center in recent months. Edibles Incredible Desserts will permanently close its location in Reston today (August 28), leaving its home of 15 years in Reston Town Center. The dessert and candies shop will relocate to its commercial kitchen and production facility, located at 22735 Executive Drive, Suite 190, on September 3. The business won Wedding Wire’s Couples’ Choice Awards this year. Co-owner and COO Robyn Hannah said she was sad to leave RTC, where she and her husband have enjoyed serving Reston and the surrounding community. The business decision was motivated by a familiar concern voiced by other merchants: paid parking. “Our lease ended the end of this month. We did not want to negotiate higher rent because the last few years since paid parking went into effect, we’ve lost several hundred thousand dollars in sales,” Hannah told Reston Now. She also said other factors contributing to the decision. The business will be offering free cupcakes, cakes, and other desserts at 3 p.m. today. A new tenant for the space at 11917 Freedom Drive has not been announced. The owners are now looking forward to reaching a new milestone: consolidating their retail location with the production facility. The business began when Hannah and her husband, then single, met at a single’s event. One brought homemade English toffee and the other brought a plate of fudge, attracting attention from others at the event. 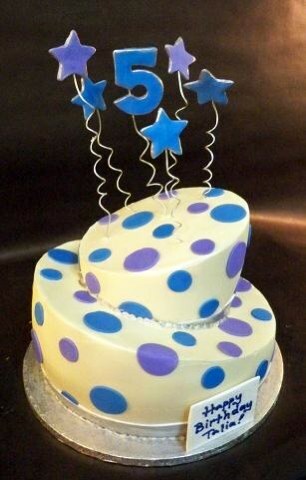 Utilizing their joint capabilities in baking and decorating, they opened up their first store in 2003. The addition of candies, they hoped, would make their business viable outside the popular window for wedding orders. They married in 2007. Hannah said she looks forward to a new chapter in the shop’s story. 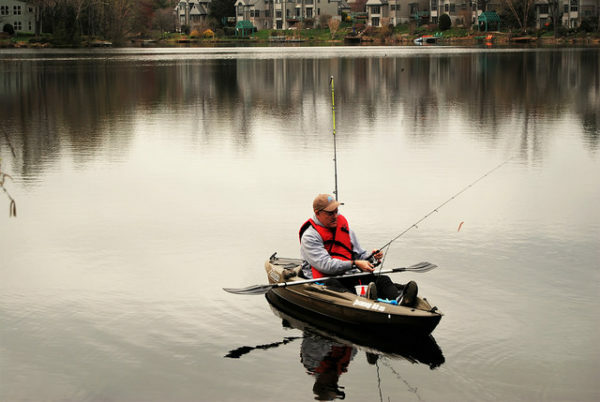 “The Reston location was our baby. It was our home. Now, we’re moving on,” she said. 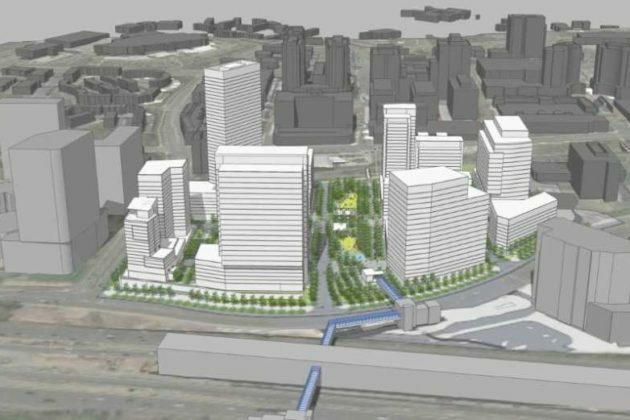 Boston Properties’ Reston Gateway project, which sets between Reston Town Center and the future RTC Metro Station, will include plans for an athletic field. 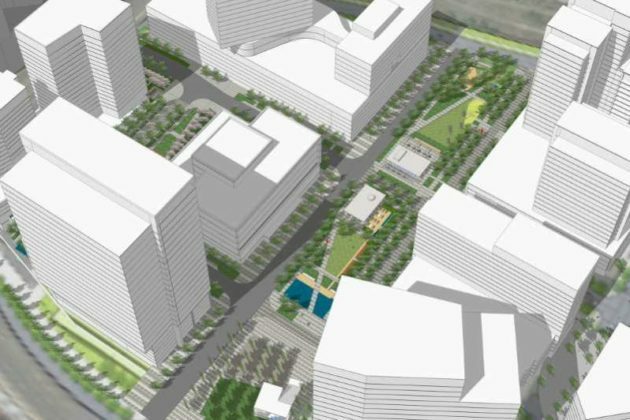 Reston Gateway, the first major development on the north side of the station, will bring four office buildings, three residential buildings with 2,010 units, two hotels and 162,300 square feet of retail and restaurants, to the north side of Sunset Hills road between Town Center Parkway and Reston Parkway. The development has triggered the need for a new athletic field, according to Fairfax County officials. The county’s Board of Supervisors approved the project in July. Several options are included in Boston Properties’ plans. 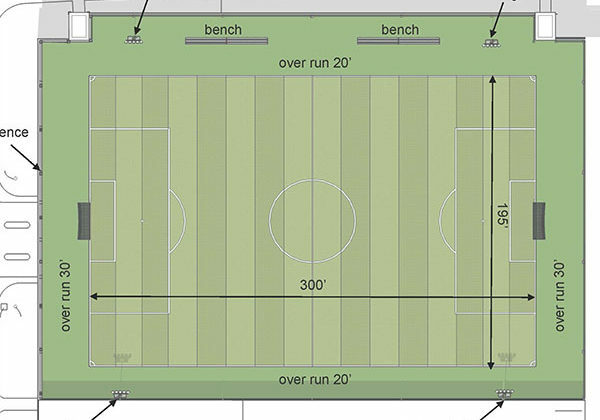 A full-size, synthetic turf field on an offsite property was pitched by Boston Properties’ officials as the preferred option. Information on the property under consideration has not been publicly disclosed. If the deal, which is currently under consideration, falls through, the developer may build a new field on top of the Purple Garage in RTC. Another alternative is pitching money that would go towards building a new field — a proposition that has some residents concerned due to limited developable land in the planned urban core of Reston. If no alternatives are feasible, Boston Properties may dedicate 50,000 square feet at Reston Gateway for a performing arts center in lieu of the field. As of late July, developers have committed $10.3 million to help fund athletic fields in the greater Reston area. All funds are unspent. 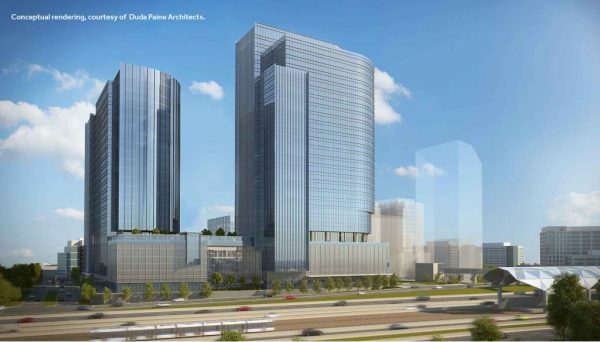 In a streak of votes on development proposals in Reston Tuesday evening, the Fairfax County Board of Supervisors unanimously approved three projects totaling nearly 10 million square feet of development and up to 3,731 residential units at full development capacity. The first approval by CoreSite brings nearly 943,000 square feet of space for data centers to Sunrise Technology Policy, a 21-acre office parking with four existing buildings. 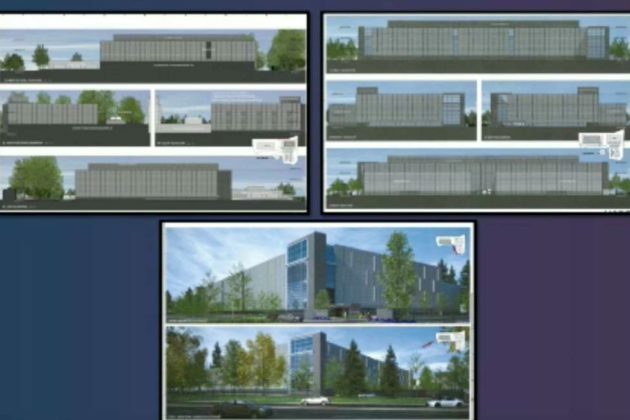 David Gill, the applicant’s legal representative, said the project represents a significant investment in Fairfax County and would help serve current and future enterprises in Reston. Gill said CoreSite intentionally chose Reston instead of Loudoun County to serve as the premier data center provider for this reason. Hunter Mill District Supervisor Cathy Hudgins said the data center would also significantly reduce trip generation. “In some sense, that’s a good news piece,” she said. 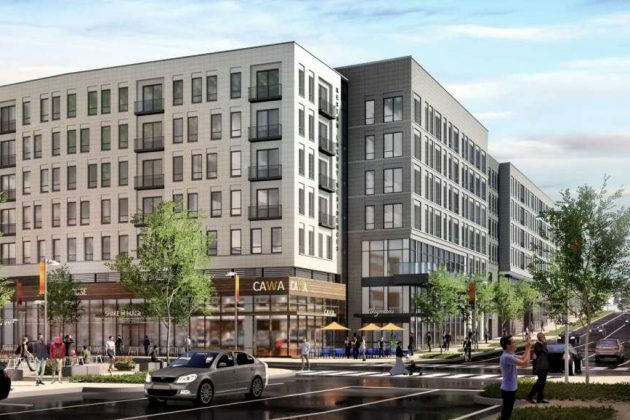 Approvals for two other mixed-use projects, Reston Gateway and Reston Crescent, would open the door to a new phase of development in and around Reston Town Center. The board unanimously approved Brookfield Partners’ Reston Crescent proposal, which brings up to 1,721 residential units, 1.5 million square feet of office space, 380,00 square feet of retail and a 200-room hotel. The project is located on Sunrise Valley Drive between Edmund Halley Dive and Reston Parkway and will be the future home of a two-story Wegmans. On the north side of the Reston Town Center Metro Station, Boston Properties’ Reston Gateway project, which brings 4.8 million square feet of development across 28 acres. The plan includes 2.2 million square feet of office, up to 2,010 residential units, a hotel, 93,900 square feet of retail and restaurant space. The plan for Reston Gateway piqued concerns by Rob Whitfield, a Reston resident of 20 years, who said an immediate and detailed transportation plan was necessary for Reston Town Center, which he said is already congested during peak traffic hours. Hudgins said that while projects on the drawing table are largely unfunded, each developer is offering transportation funding that will help fund future improvements that she said are necessary. Hudgins also noted that the arrival of the Silver Line over the next two years would reduce the number of drivers on the road. “This is a large transition as we see it,” she said. Whitfield was the only individual to testify during the public hearings on all three projects Tuesday evening. 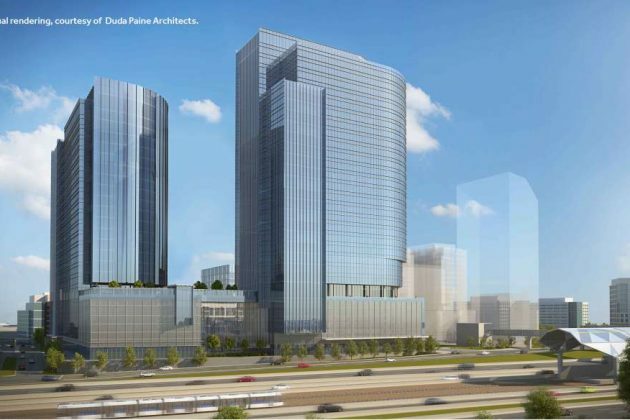 The Fairfax County Board of Supervisors will vote on three major mixed-use and office projects in Reston tomorrow (July 31). 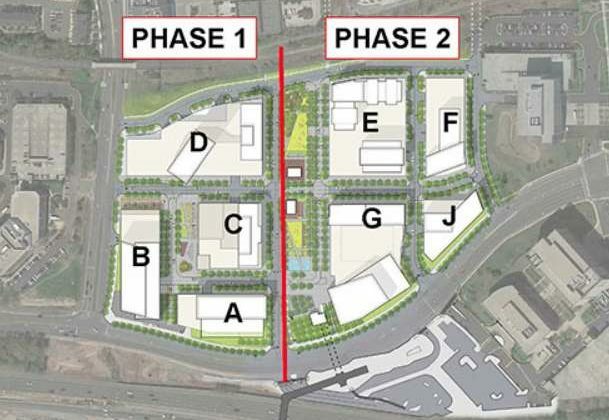 The development proposals include data centers at Sunrise Technology Park, additions to RTC West, and Boston Properties’ Reston Gateway project. CoreSite hopes to bring data centers to a 21-acre office park on the south side of Sunrise Valley Drive. The plan was unanimously approved by the Fairfax County Planning Commission in late June. The second proposal is by Brookfield Property Partners for its major Reston Crescent Development. The project will also be the future home of Wegmans and an athletic field may be conveyed to the county as part of the proposal. 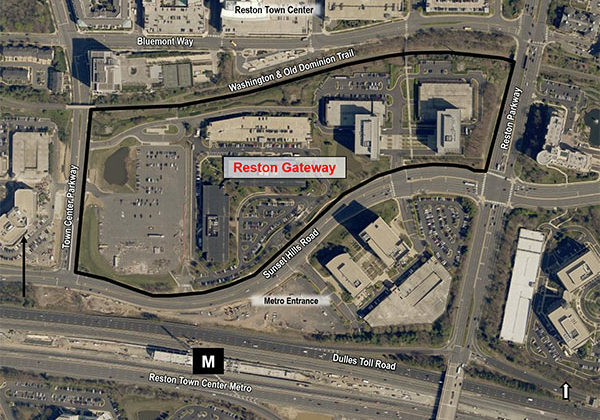 Last but not least is Boston Properties’ Reston Gateway project, which aims to bring 2.2 million square feet of office space, a 570-room hotel and nearly 2,010 residential units to the door of Metro and to the border of Reston Town Center. The project is also the future home of Fannie Mae. All projects were approved by the planning commission. A public hearing will be held prior to votes on any proposals. 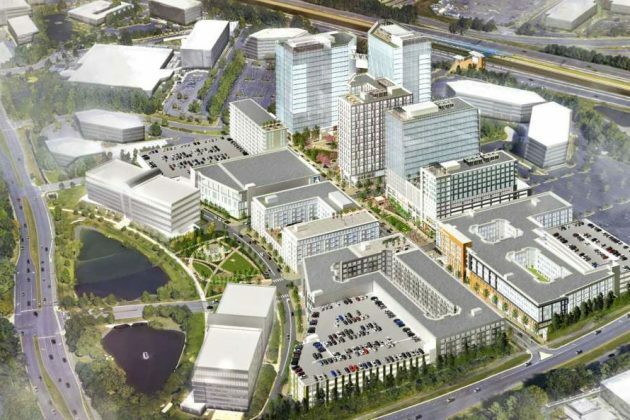 Boston Properties is ready to kickstart the first phase of Reston Gateway, 22-acre site next to the future Reston Town Center Metro Station, a company executive said. During the company’s quarterly earnings conference call Wednesday, BXP Chief Executive Officer Owen Thomas lauded a recent lease signed with Fannie Mae for the mixed use project. Fannie Mae will anchor two office building in the project, which also includes 3.5 million square feet of development. The new mixed use project is designed to complement “the amenity base and community environment of the highly successful Reston Town Center,” Thomas said. Fannie Mae plans to occupy the building in the first quarter of 2022. A mid-sized hotel, more than 600,000 square feet of residential development and 90,000 square feet of ground floor retail is planned on the site. “We have recently signed two expansion and extension deals with technology tenants for 112,000 square feet. One tenant grew 30% and the other grew 40 percent. And we are negotiating a third expansion and extension this time growing 115,000 square feet tenant to a 160,000 square feet. We are also in early renewal discussions with tenants for more than 300,000 square feet of space,” Linde said. The company opened the Signature, a residential high-rise in Reston Town Center, in January. So far, 11 percent of residential units or 86 of the 508 units are leased, Linde said. Overall, the real estate investment trust reported an income of $176 million, up from $97 million this time last year.